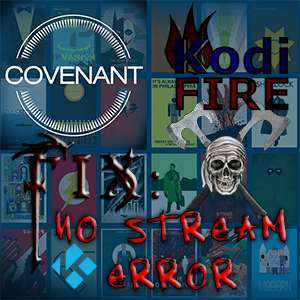 Having trouble lately with the Covenant Kodi TV addon giving you a “No Stream Available” error, then getting no indication why? Then, you’ll rejoice at recent news and the easy fix involved. 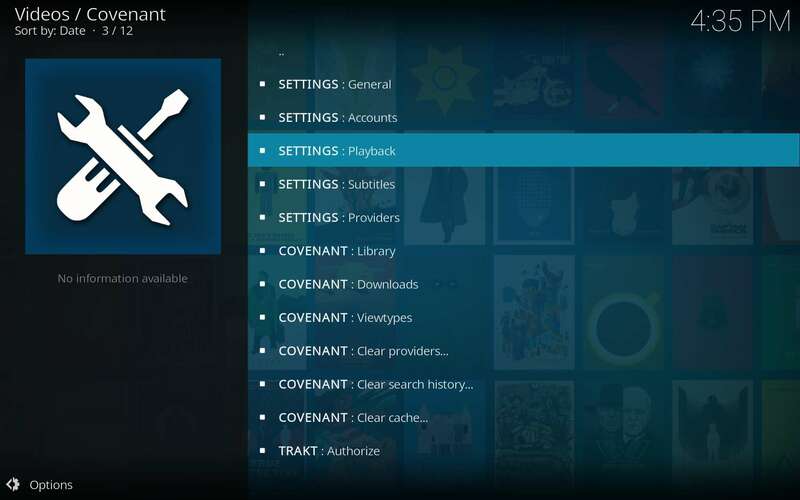 November 6, 2017: The Covenant team released a massive overhaul of the Covenant Module Kodi dependency. They deleted stream sources that had fallen offline, updated 7 source providers, and added 7 new source providers! They also improved upon the quality descriptors for Real-Debrid sources. If you’ve had the Colossus repository and either of the Covenant or Bennu Kodi TV addons installed for a while now, then you may have noticed a new addon install automatically in late September. 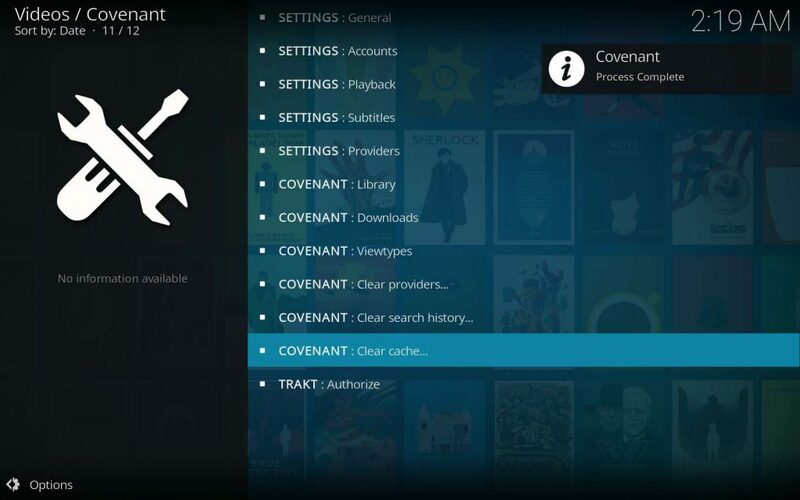 You might have wondered about this, then let it slide, as it carried the name of Covenant and all worked well after its install. The Covenant Kodi TV addon team developed a new dependency to take care of the “No Stream Available” problem at that time, then named it Covenant Module. 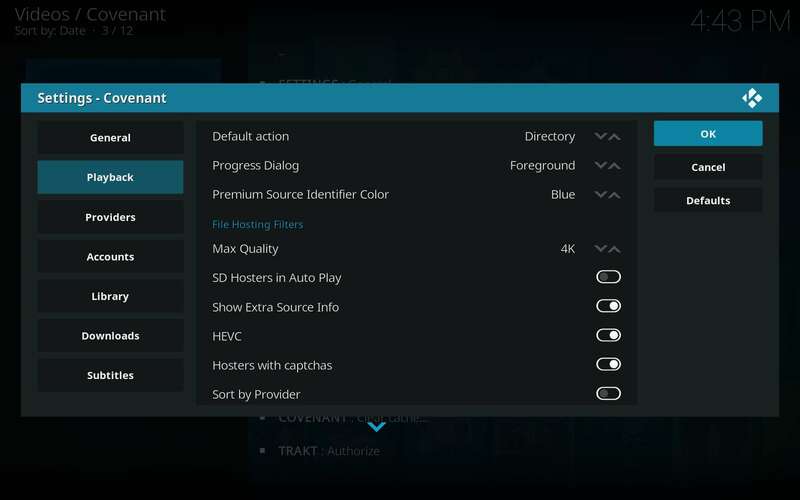 Bennu, a wonderful Kodi TV addon in its own right, uses this module also. 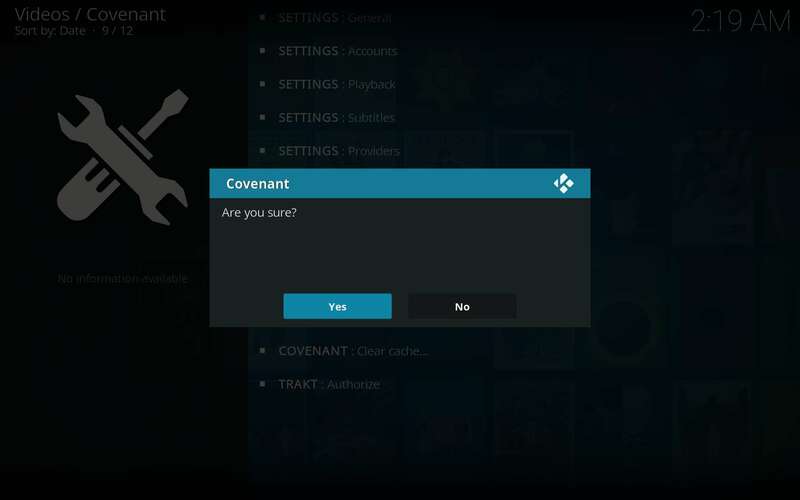 Bennu comes from the same team of developers you can thank for Covenant. 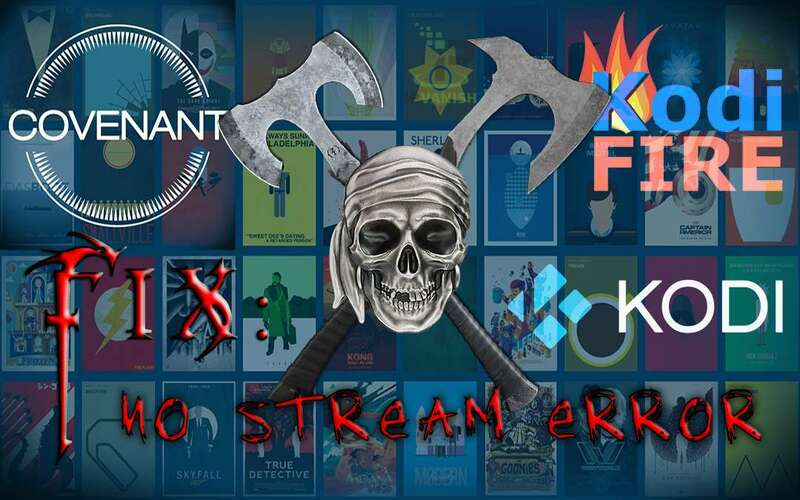 Kodi TV addons that stream from multiple sources need to scrape online sources for metadata and then resolve the URLs they scrape to stream the actual files. This scraped metadata includes content locations and descriptions, including associated media—posters, fan art, and the like. You may have seen openload in Kodi, which is one of the most popular resolvers; many others also exist. 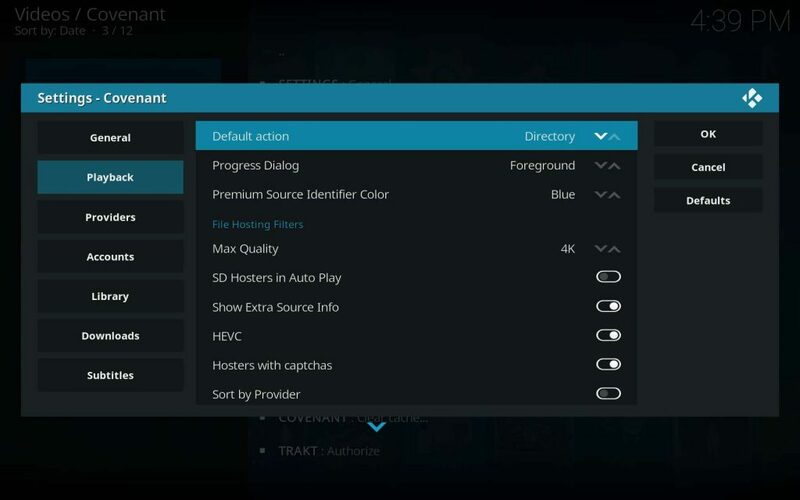 The URLResolver Kodi addon takes care of resolving file locations for most Kodi TV addons, so a single update affects every TV addon using it. The Covenant Module dependency, while similar in concept, provides sources for the actual scrapers within the Kodi TV addons that use it. 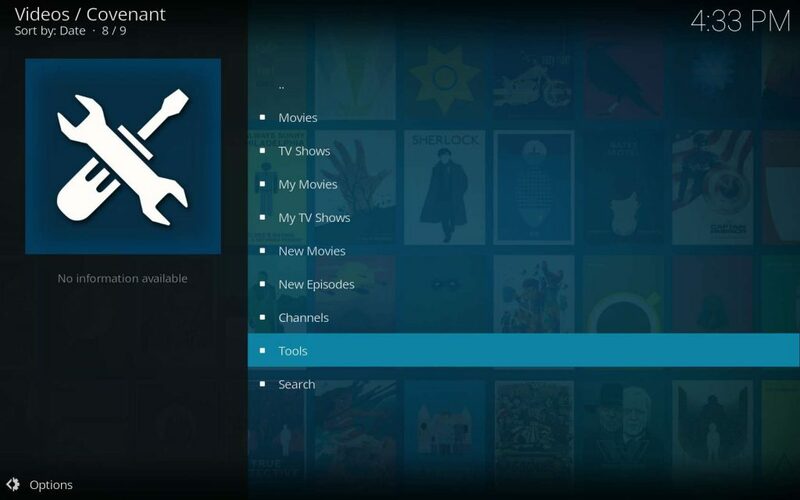 Scrapers are the TV addons that gather metadata from internet sites that store metadata for and listings of actual media files. One very popular site that is commonly scraped for movie and TV show metadata is IMDb, though many more exist. If you have Covenant installed, but don’t have the Colossus repository installed, your problem might be as easy as 1…2…3… With the Colossus repository installed, Covenant will auto-update and get your providers fixed up for some fresh streams. Go to the Colossus Installation article and get that magic happening! If these methods did not get you some streams available, please let us know in the comments what the details surrounding the error are. We’ll certainly figure this out and have you checking out Apocalypse Now before the smell of napalm dies away. 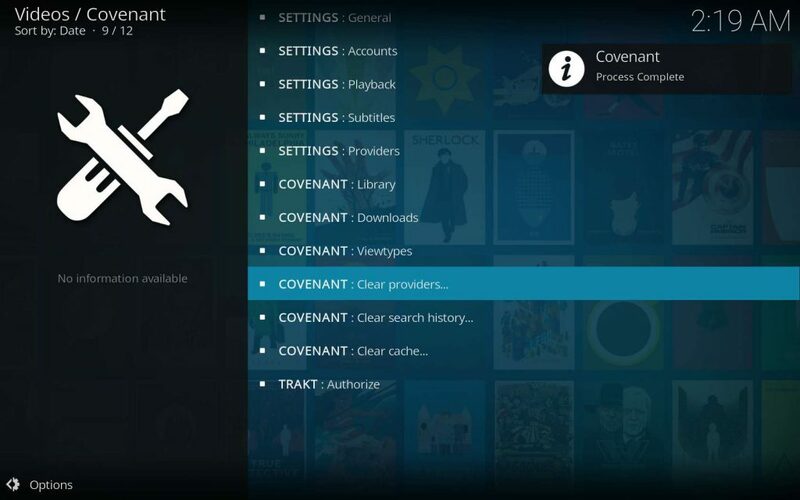 The Covenant development team, also responsible for Bennu, updated Covenant Module Kodi addon to fix "No Stream Available" in these two wonderful TV Addons. Your Instructions helped an old man across the street so to speak, THANKS for sharing your work! Be Blessed.